Millstone Ridge - This Community Is Minutes From Shopping, Dining, Hospital, Hwys & More. 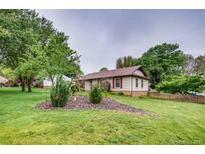 MLS#3483860. J Bella Realty LLC. You don't want to miss out on this alluring home in a fantastic location! MLS#3495174. Redefy Real Estate Charlotte. Callonwood - The Community features a pool, clubhouse, ball fields and a playground. MLS#3494183. Better Homes and Gardens Real Estate Paracle. Come see this beauty for yourself! MLS#3496170. Better Homes and Gardens Real Estate Paracle. Callonwood - A cool and airy sanctuary perfectly suited to a relaxed life-style awaits. MLS#3495648. Keller Williams South Park. Reverdy End - Host gathering large or small in your resort like backyard with pool, hot tub and mature landscaping for privacy. Welcome home! MLS#3495646. Wilkinson ERA Real Estate. Matthews Estates - Sellers have updated all lighting, fans, new water htr, new springs on garage door. MLS#3494028. Wilkinson ERA Real Estate. Matthews Grove - Also convenient to I-485 and Independence Blvd. Top rated schools! MLS#3494828. United Country RE-The McLemore Group. Conveniently Located to Excellent Schools, Shopping and Restaurants. Don’t Miss This Special Home! MLS#3495150. Allen Tate SouthPark. Curb appeal +++ and such great pride of ownership is displayed throughout this home and neighborhood. MLS#3495072. RE/MAX Executive. Poplar Forest - I/485 <3 mi away. Termite bond protected. MLS#3494755. Wilkinson ERA Real Estate. Thornblade - This gorgeous and unique property is just waiting for you to come fall in love today! MLS#3495596. Keller Williams South Park. Second bedroom also has it's own full ensuite bath! MLS#3495092. Knock Homes.